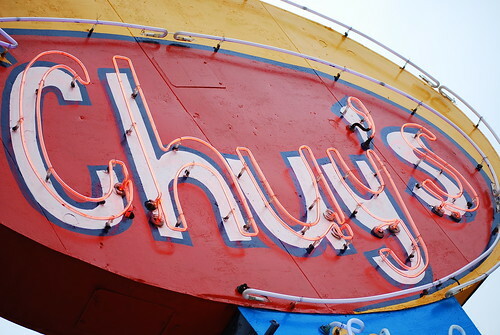 Ever since Nashville’s first Chuy’s opened in Cool Springs back in 2009, we haven’t been able to shake our craving for that weirdly addictive creamy jalapeño sauce that hits us every single week. Oh, and the margaritas! And the burritos! And the Elvis shrine! And… and… ! Lucky for us, Chuy’s has moved into midtown, swinging wide its Texas-sized doors tomorrow and welcoming the masses. Just follow your nose (or a map) to 19th and Broadway and probably prepare to wait a while, as every Texan transplant within a 300-mile radius will probably be pouring into the place at once. If the other two Nashville Chuy’s are any indication, the happiest of happy hours will happen Monday through Friday from 4 to 7 PM with margarita and beer specials and, best of all, a free nacho bar. Check out the menu ahead of time and plan your strategy! And save us some creamy jalapeño sauce, will ya? Chuy’s Midtown location opens Tuesday, October 11 at 19th and Broadway. 11am-10:30pm Sunday -Thursday, 11am-11pm Friday-Saturday.